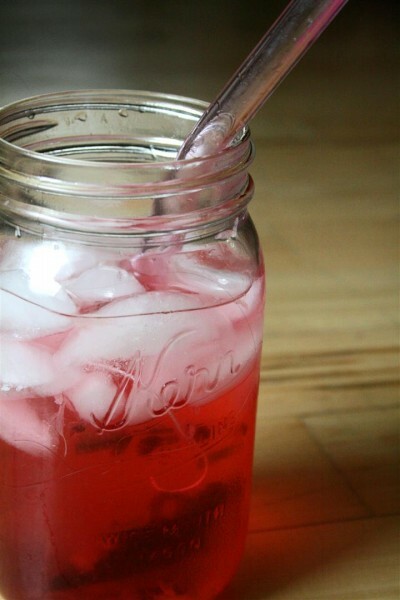 Homemade Starbucks Passion Tea Lemonade was posted on June 27th, 2014 and is filed under Drinks & Smoothies, Low Carb. This entry has 4 comments. You can follow any responses through the RSS 2.0 Comment Feed. When I’m not in the coffee mood (which is rare), I love trying some of the cold tea beverages at Starbucks. For those of you who haven’t tried it, there’s this delicious passion fruit tea they make with lemonade and syrups. It’s amazing, BUT there’s way too much sugar in there! I decided to make it my way…and not only did it have an almost identical flavour, there are NO calories, NO carbs, and not one gram of sugar! What! And yo, it’s much cheaper! It’s four dollars for a venti passion tea lemonade. A little much for me. 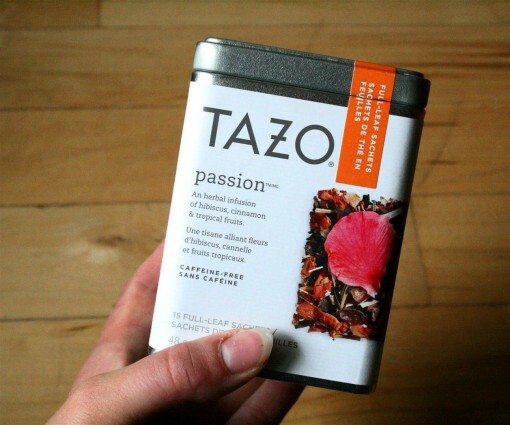 Get the Starbucks, Teavana (or Tazo) passion tea (that’s where it costs a little bit) and you can make several batches. Granted, there are other cheaper fruit teas you could try, but I was trying to replicate the drink completely. Brew the tea bag in with the hot water for several minutes. Add lemon juice and stevia drops. Add in ice and a straw and boom. You’re done. *I used NuNaturals lemon and cherry vanilla stevia – but you can use a plain flavoured one as well, it just adds a nice little bit of extra “punchy” flavour! This is incredibly refreshing on a hot summers day! What’s your cold Starbucks drink of choice? I bet I can recreate it for you! I have an insane (and expensive!) Starbucks habit so I love finding DIY Starbucks recipes! I tend to buy just a basic hot tea or poured over ice when I go to Starbucks (just the tea bag and water). I actually don’t go very often, but when I go this time of year, I pick out that Passion tea bag, too. It’s so pretty. AmandaQ – That sounds amazing. I will be trying to recreate this!